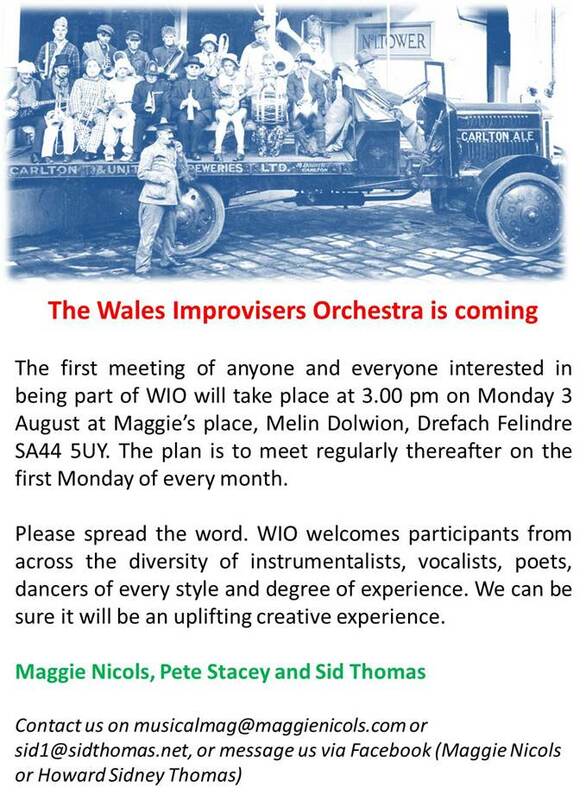 The first meeting of the Wales Improvisers Orchestra (WIO) will happen at Melin Dolwion on Monday 3 August 2015 at 3pm. It will then take place on the first Monday of every month at 3pm. If you have no idea what improvisation is, you could listen to this recently broadcast Radio 4 programme. It features Maggie, who is, of course, the mill’s resident improvisation doyenne. Lots of other interesting folks are interviewed too. 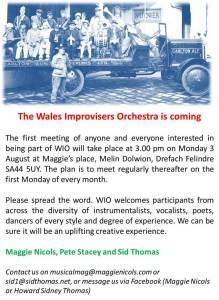 You could also check out this video made by the Glasgow Improvisers Orchestra who are one of the inspirations behind WIO. 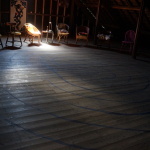 The aim of WIO is to build up a vocabulary of approaches to free improvisation. 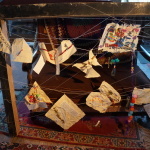 Eventually the group hope to invite people to create pieces for the orchestra – visual scores, conduction and concepts. People coming to rehearsals are welcome to stay for the Gathering, which happens on the first and third Monday of every month from 7.30pm. 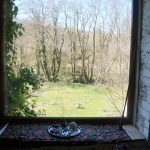 If you are coming from far away you are welcome to stay at the mill and travel on in the morning. Never been to the mill before? This page should help with directions!